In Psyched Up, journalist Daniel McGinn dives into the latest psychological research and interviews athletes, soldiers, entertainers, and others who, despite years of practice, will ultimately be judged on their ability to deliver their absolute best when it’s needed most. Perfection is useless if you can’t summon it when it counts. McGinn shares research-driven strategies for activating your talent, optimizing your emotions, and getting psyched up to take the spotlight. You are an entrepreneur about to pitch your idea in front of a group of venture capitalists. You are a CEO about to confront a group of angry shareholders. You are a musician about to step onto the stage of Carnegie Hall for the first time. You are a surgeon about to begin a highly difficult operation. No matter what your profession and position, there are intense moments when you have to perform. 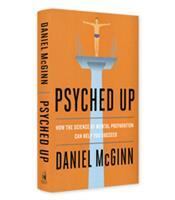 In his highly entertaining and informative book Psyched Up: How the Science of Mental Preparation Can Help You Succeed, journalist Daniel McGinn pulls from scores of interviews and academic studies to offer some basic advice on how to best perform under pressure. McGinn begins with a sensation familiar not only to most of us but also (surprisingly) to many of the world’s great performers: stage fright. The advice that many people hear as they battle pre-performance anxiety is to “try and calm down.” McGinn, backed by research, argues that in fact, attempting to calm down is not the best response. Of course, different “performance” situations call for different attitudes — the exuberance of the Broadway performer versus the confidence of a leader in a crisis, for example. 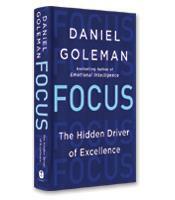 The best place to be emotionally, McGinn writes, is toward the middle of the spectrum: have enough excitement to be focused and energetic but have enough calm to be confident and in control. Psyched Up covers a variety of topics related to the psychology of performing: not only overcoming psychological challenges such as performance anxiety but also harnessing a psychological advantage. For example, one of the most entertaining chapters involves pre-performance routines, rituals and superstitions. As McGinn explains, routines are task-related, while rituals are not task-related. For example, basketball great LeBron James has a long list of task-related pregame routines, such as warmup shots and icing his legs. He also has unexpected pregame rituals. The most famous of James’ rituals is throwing chalk dust into the air by the scorer’s table — a signal to expectant fans that he is ready to play! The studies reviewed by McGinn show that rituals, routines and even superstitions (in one study, golfers who were told that they were playing with a famous golfer’s club did much better than those who were not told about the club, even though the club was never owned by any professional golfer) are surprisingly effective. What academic research has failed to reveal, however, is why. No matter, McGinn notes: As long as it works, why not? The research is also mixed on whether generating anger at opponents gives any individual or team an advantage. On the one hand, studies show that people and teams tend to perform better against rivals. 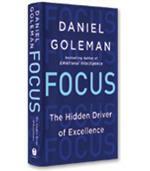 Anger, however, can also be a distraction and undermine performance. The same applies to pep talks. In a chapter entitled “Don’t Just Win One for the Gipper,” McGinn expresses skepticism about the value of rah-rah, emotional pep talks. Instead, she turns to military studies related to effective pep talks before battles. The pep talks found there detail the strength of the team and offer reminders to focus on the fundamentals of the game and not to worry about the situation. These pep talks, she argues, may be more helpful than “winning one for the gipper” exhortations. Filled with stories from a variety of fields, Psyched Up is a measured, comprehensive and engaging discussion on performance that will help all “performers” overcome the challenges they face when, as happens to nearly everyone, the spotlight is turned on them.